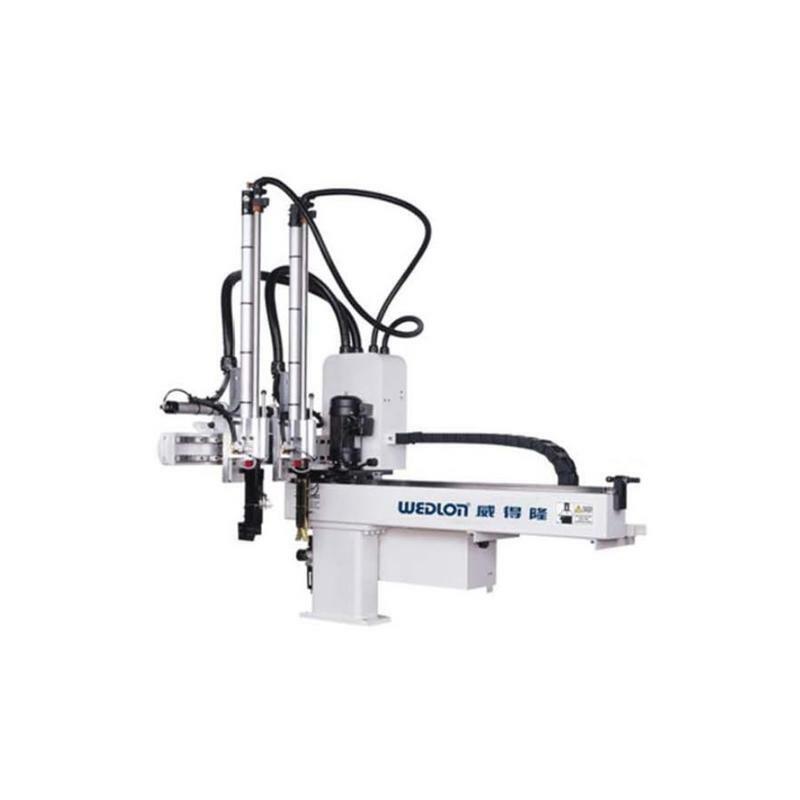 Injection Molding Robot - Middle Traverse Type Robot for Wedlon Automation Co., Ltd.
Injection Molding Robot - middle traverse type robot is extensively applied to plastic injection molding machine 350T ~ 1800T. Injection Molding Robot - middle traverse type robots can rapid take out the injection runners, sprues and finished products from the mold of plastic injection molding machine. Injection Molding Robot - middle traverse type robots can achieve requirement of Plastic Injection Molding Factory Automation (FA). Remote controller with the LCD display for easy reading. The screen capacity is 100 Chinese characters. 16 bit dual CPU provides powerful editing functions for deletion, insertion and replacement. 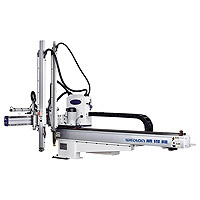 60 sets standard programs combined with 40 sets edit meets requirements for any type of mold. The traverse stroke is driven by an high performance, frequency change brake motor. 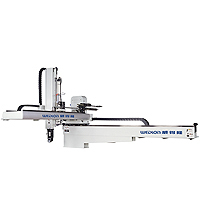 The traverse stroke is controlled by an encoder, providing up to nine points of product release,and controlled directly by the settings of the operation panel. 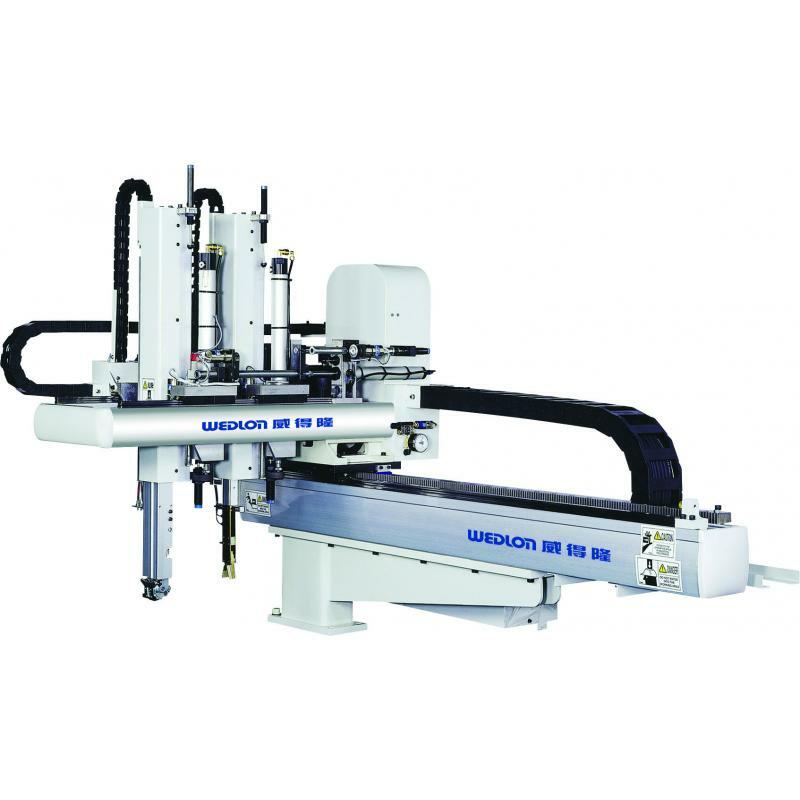 The machine has an innovative automatic speed slow-down on the vertical stroke for the product and sprue arm when in manual control mode. This will avoid operation error and provide protection for the mole. The product and sprue arms feature fast pick and slow release, which provide a safer working area. 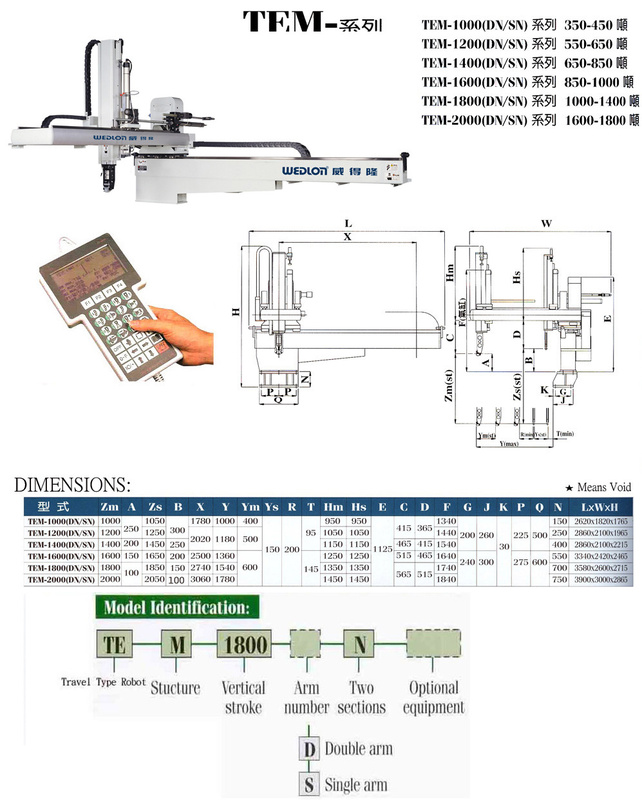 X, Ya,Yb, Za, Zb axis adapt automatic position adjustment to have safe and convenient operation. The second step of the vertical stroke is transmitted by a steel reinforced belt. Simultaneous motions for the first and second stroke give fast stroke speed. Two step vertical stroke with two linear motion guide slide ways.